Just 7 Steps! Download the instruction sheet. The BrickVent units are packaged as two separate pieces. They are the lower vent and the backplate. To assemble the units, press in the tabs on either side of the backplate, then slide and snap into lower vent. It may be necessary to snap one side at a time. 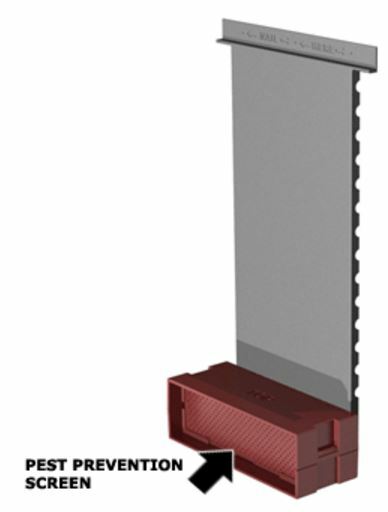 Lay BrickVent units in first or second course flush with outside of masonry wall. Space BrickVent units every 64” (8 standard bricks between). Center one BrickVent unit in walls less than 5’ wide. Adjust backplate so that it rests against exterior sheathing of house. Nail to house thru provided nail flange. Place weep holes or tubes between BrickVent units to satisfy local code. To protect from dirt and falling mortar, leave cardboard protectors in front of BrickVent units until final clean-up. 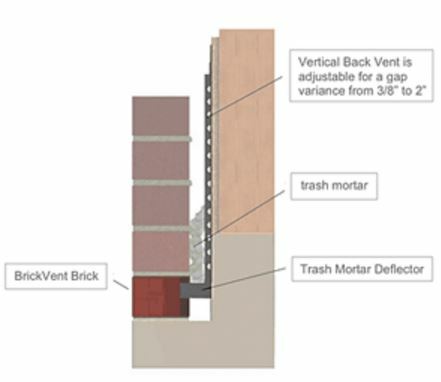 *Although BrickVent comes in three standard colors, matching almost any masonry wall, the vents may be painted using any paint designed for use on plastics. 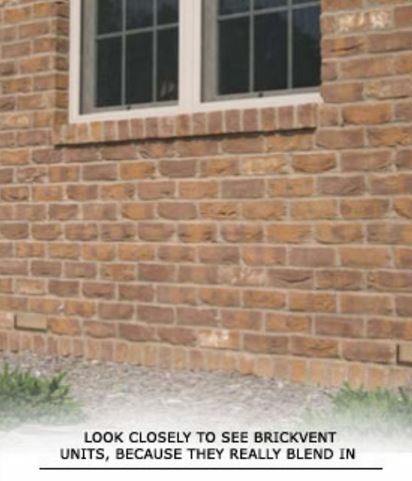 *Although BrickVent comes in three standard colors, matching almost any masonry wall, the vents may be painted using any paint designed for use on plastics.